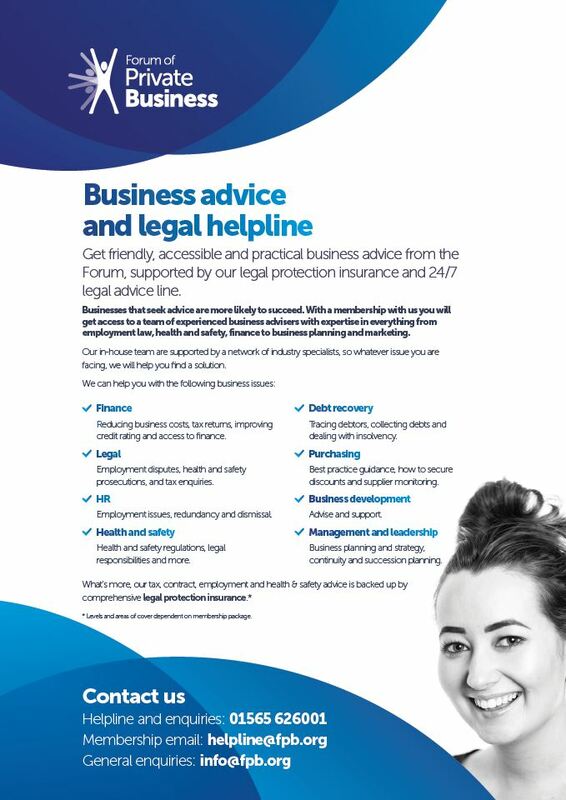 Get friendly, accessible and practical business advice from the Forum, supported by our legal protection insurance and 24/7 legal advice line. Businesses that seek advice are more likely to succeed. 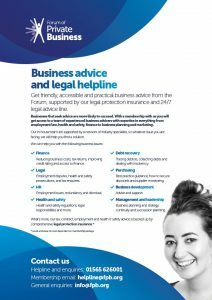 Join the Forum to get access to a team of experienced business advisers with expertise in everything from employment law and finance to business planning and marketing. Our in-house team are supported by a network of specialists. Whatever issue you’re facing, they will help you find a solution. Finance – reducing business costs, tax returns, improving credit rating and access to finance. Legal – employment disputes, health and safety prosecutions, and tax enquiries. HR – employment and training of your staff, redundancy and dismissal. Health and safety – health and safety regulations, legal responsibilities and more. Debt recovery – tracing debtors, collecting debts and dealing with insolvency. Purchasing – best practice guidance, how to secure discounts and supplier monitoring. Business development – improve marketing and grow sales. Management and leadership – business planning and strategy, continuity and succession planning. * Levels and areas of cover dependent on membership package.